Whether you are a major manufacturer or a smaller industrial operation, when you are producing new mechanical-based technologies, you need to have the proper patent protection program in place. Whether you have made a more-traditional style machine or a new high-tech electro-mechanical device, Ference & Associates Patent team is ready to provide you an intellectual property strategy so that a competitor does not reap the benefits of your hard work. Mechanical patents are one of the most popular patentable areas, and the number of patents it reflective in its broad scope. Encompassing everything from manufacturing to aerospace to robotics to consumer products, mechanical technology is everywhere. Mechanical technology is rapidly growing and evolving, and the patent law is constantly adapting to keep up with it. It is essential that your intellectual property attorney is up to date on the latest developments for mechanical patents so that their strategies and approach are at peak effectiveness. Ference & Associates is the ideal Patent law firm to handle your mechanical invention because of our focus and background in science and technology. Our legal team has a thorough understanding of mechanical engineering and can properly convey your work into a patent claim that will be effective at keeping competitors from copying it. Are you interested in licensing your work? Ference & Associates can help with that as well. We will draft a licensing agreement that will allow for you to receive maximum compensation for your work. We also frequently team with foreign law firms and corporations that need help filing mechanical patents in the United States. We have worked on all types of mechanical technologies, a wide range that covers everything from vial clamps to roller coaster vehicles. This means that you can trust that we will be able to effectively handle any mechanical engineering case you might have. Our Pittsburgh based firm has years of experience and has a long history of successful patent applications for our clients. 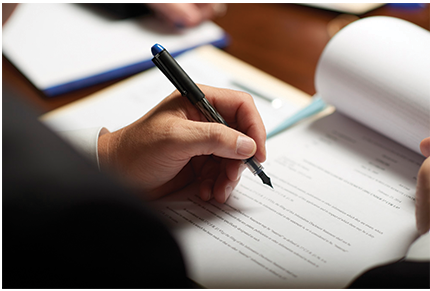 We aim to truly understand the specifics and nuances of your work so that we can appropriately convey it in our legal work.